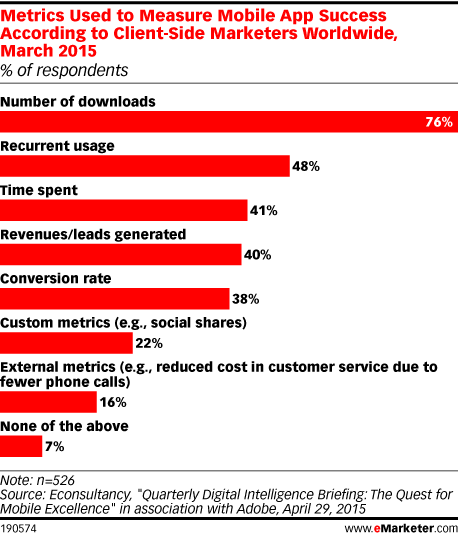 Data is from the April 2015 Econsultancy report titled "Quarterly Digital Intelligence Briefing: The Quest for Mobile Excellence" in association with Adobe. 2,973 digital, ecommerce and marketing professionals worldwide from a variety of industries were surveyed online during February-March 2015. Respondents were based in Asia (14%), Australasia (6%), Europe (51%), North America (21%), the Middle East (3%) and other (5%). Respondents were client-side marketers who are part of an in-house team (56%) and supply-side professionals including agency marketers, consultants and those working for technology vendors or other service providers (44%).